Have your child do the things you do i.e greet other, sing songs, pray, etc. 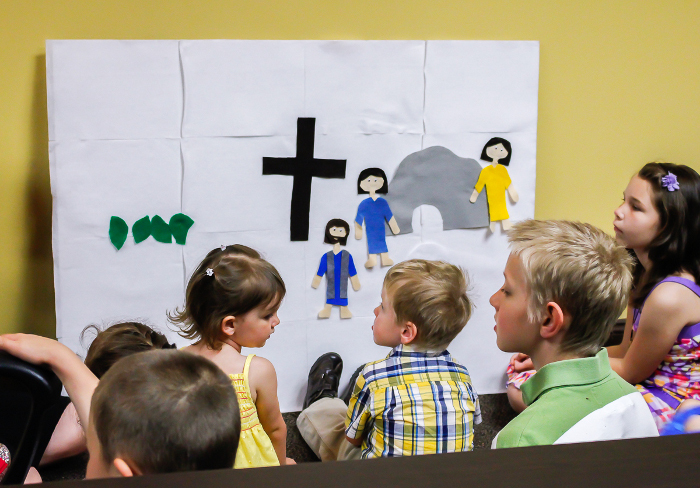 Your child will have an age appropriate bible lesson, craft, sing some bible songs, and have a snack. This class will focus on the foundations beliefs of the Faith. The goal is to prepare your children to “transition” into the full life of our faith and community. This class runs only at 8:30a.m. We highly encourage parents to bring their children to this class and then worship with them during the 10:30 a.m. gathering.